Of all the unusual alternative homes I've seen, this airplane in the woods of Oregon takes the cake. 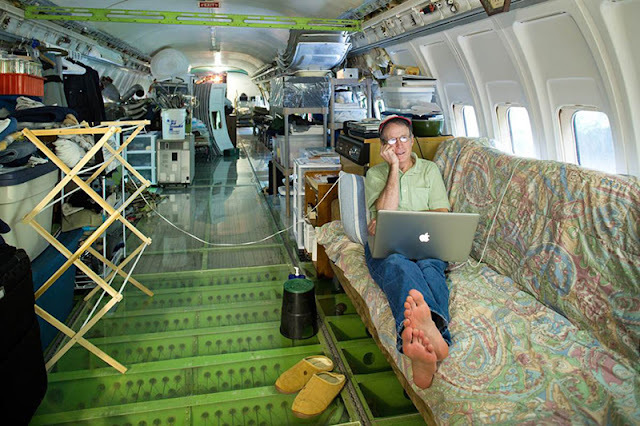 Portland native Bruce Campbell lives by himself in a 1,066 sq ft 727 Jetliner. 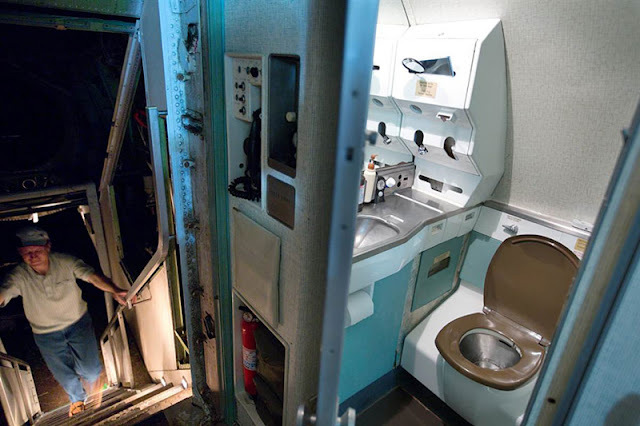 The plane's interior has been gutted and converted into a livable space with a kitchen, bathroom, living room, bedroom and two bathrooms. 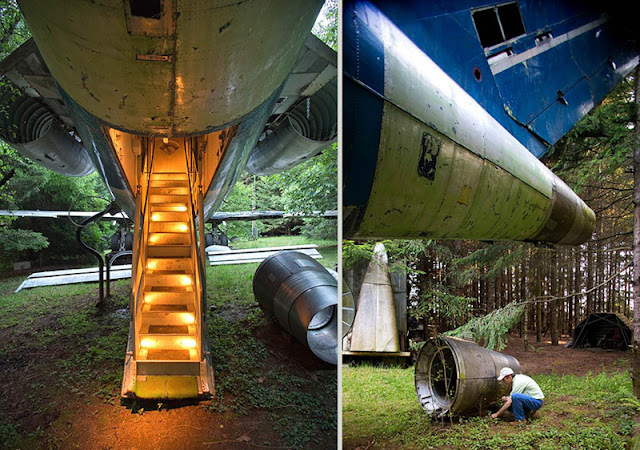 The home's entrance is a retractable set of stairs that slides out of the plane’s underbelly. Another neat plus is all the windows to allow in sunlight. Campbell has even kept some of the original seating, and uses the cockpit as a reading room. According to Campbell, about three Jetliners are retired every day. How you'd get your hands on one and bring it into your neighborhood is another question, but it would be cool if you could. 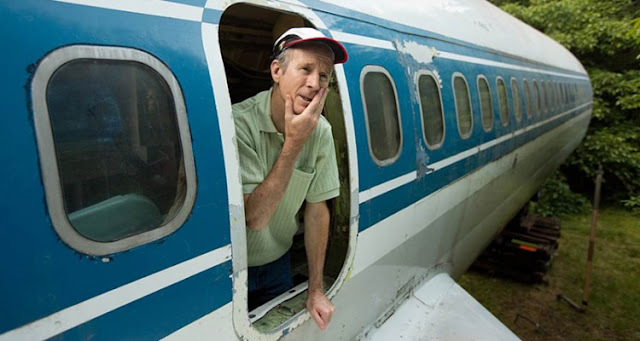 He's paid about $220K for the project so far- $100K for the plane, and $120K for related expenses such as transport, refurbishing, etc. 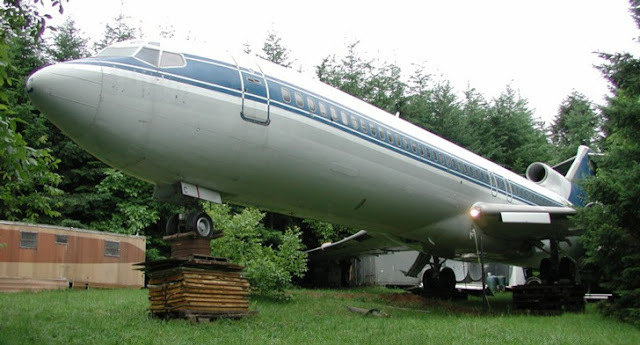 Bruce Campbell has a website where he updates fans of his home about his next steps for the plane and goes into further detail about how he's built his home.